Digital Mapping Solutions along with Tamas Szekeres is pleased to announce the open source release of MapServer MapManager. MapServer MapManager is an easy to use Windows desktop GUI application (based on the MapScript C# API and GDAL C# API) that allows you to easily create and configure great looking MapServer map files. The application provides a set of dialogues for setting the various properties in the map configuration and renders the map directly on the screen allowing panning and zooming of the displayed area by using the mouse. The MapManager user interface provides common operations for selecting the features and inspecting the attributes for setting up labelling and changing the style and symbology. The created map configuration can then be saved into a map file which can be used by various MapServer CGI/MapScript applications. Mapserver MapManager also allows users to save the map images in various output formats supported by MapServer. MapServer MapManager is provided with GPLv3 license. The build SDK from gisinternals can be used to compile MapManager. 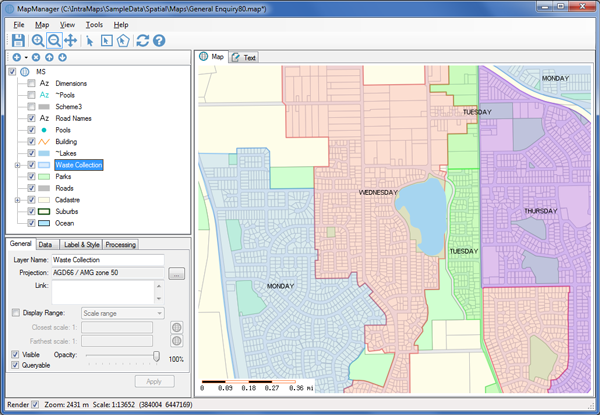 For more information about building MapManager please refer to the Readme file. Windows installers are provided in the following download locations. Certain GDAL drivers are provided as separate installers due to their custom licensing terms. When installing the GDAL driver plugins you should select the MapManager install location as the target directory. For more information about using MapManager please refer to the online help. Where are the Windows builds of GDAL? Downtime! Where's it possible to look at the source code? Do you know about Uncharted 5 Release Date?